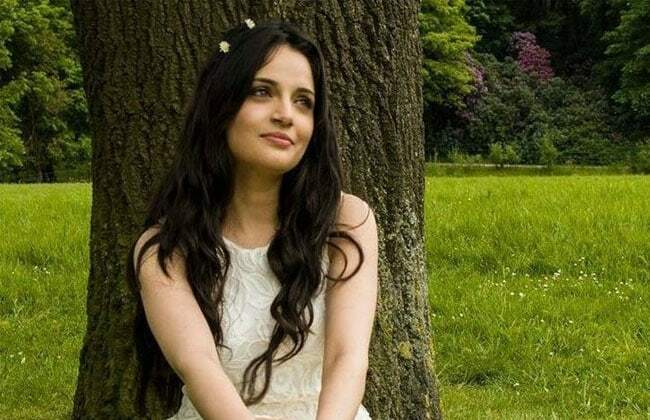 Say Hello To Armeena Khan’s Official ‘Bae’! 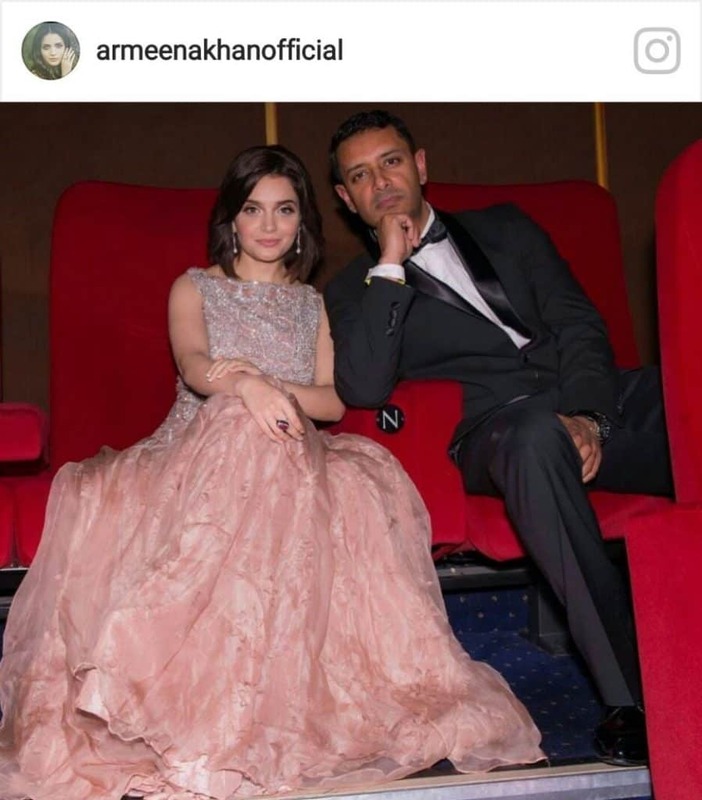 So it looks like another Pakistani actress is probably ready to tie the knot anytime soon. Yep, you heard that right. Armeena didn’t just promote her newly released movie Yalghaar in London a few days back. 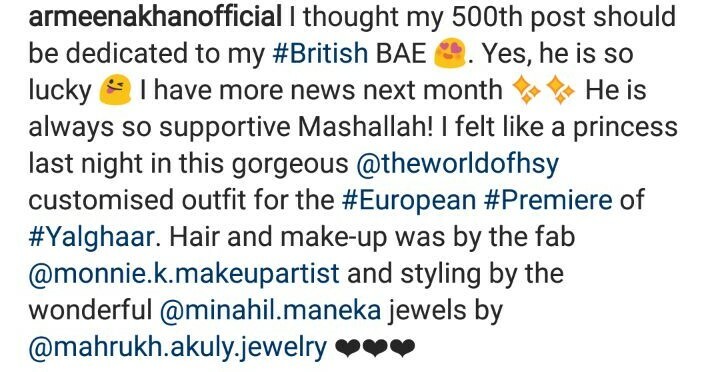 She also uploaded her 500th post with this adorable picture of her and her ‘British Bae’ on Instagram, giving us quite a shock which changed to excitement, as we read the rest of the caption. See for yourself! It looks like the Princess – and – Prince- Charming happy couple are ready to officially announce their relationship to the world in August and we can’t wait to hear it! Don’t they make an adorable sight? Are you on the same page with us regarding her ‘news’ next month? Or could it be entirely something else? Let us know with your comments!